Not too long ago I spend some time touring Woodinville wineries as a guest of the Washington Wine Commission. My days there culminated with attending the Auction of Washington Wines, an event that raised over 1.8 millions dollars (!) to support uncompensated care at Seattle Children’s Hospital and fund viticulture and enology research at WSU. Two Vintners OG: Orange is the new white. Two Vintners: Winemaker Morgan Lee steps out of the tasting room and into the parking lot to speak with me about extended skin contact. Which means we’re talking about one thing: grapes. (That’s what you thought, right?) Specifically, Gewürztraminer. The “O.G.” is–as far as I know–Washington State’s first “orange” wine, with the color coming from the skins hanging out with the juices for a longer period of time than usual. Strangely enough, the story starts with a Bloody Mary. Find out how what the author means by “refuge and prospect”. 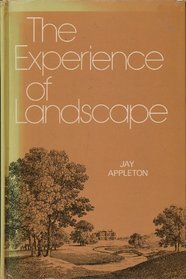 Refuge and Prospect: You’ve gotta be intrigued by a winery that derives it’s name from a book by Jay Appleton called “The Experience of Landscape“. Winemaker Jason Baldwin explains. Avennia: How do you make a Sauvignon Blanc that is an intriguing contrast to the light-and-lively versions you’re most likely to encounter? Chris Peterson (pictured at top courtesy Richard Duval Images–Richard was on an earlier show giving wine country photo tips), Avennia’s winemaker, walks me through the process. BTW, I corralled him after a stupendous meal at Cafe Juanita. Seriously, go there if you are anywhere near Seattle. 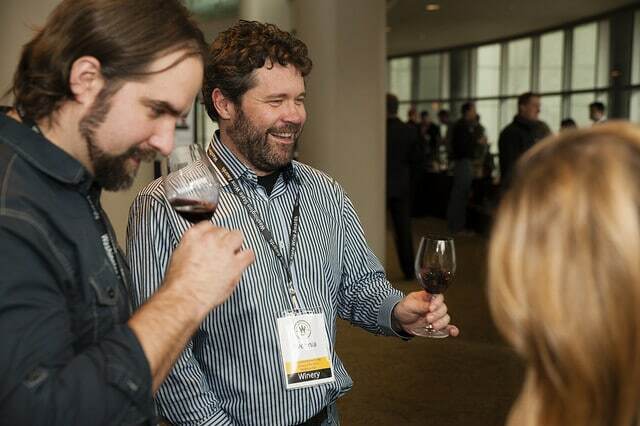 Cadence: Though the winery is 5 miles south of downtown Seattle, I was able to speak to Winemaker Ben Smith just before a dinner in Woodinville about a grape we both have a great fondness for: Cabernet Franc. Also discussed: how to show off a site by blending Bordeaux grapes, specifically single vineyards on Red Mountain. 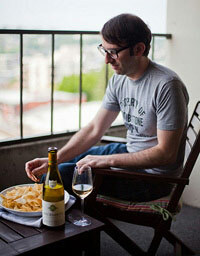 Want more Washington wine? Let’s head to the Horse Heaven Hills.